Just a year Hillar yClinton lost the presidential election to President Donald Trump, Clinton Foundation donations dropped by $36 million. This is according to the latest federal tax filings by the organization. The filings were obtained by the New York Post on Saturday. It showed that the organization contributions fell from $62,912,331 in 2016 to $26,566,825 in 2017. House Republicans plan on holding hearings in December on the results of a Justice Department probe into the Clinton Foundation. This is just one month before Democrats take over control of the House. While Hillary Clinton was being accused of engaging in pay-to-play schemes with foreign governments, donations to the foundation have dropped. Revenue from speeches given by the Clintons also fell from a high of $3.6 million in 2015 to just under $300,000 in 2017. In 2016, during the presidential campaign, the non-profit took in no earnings from speeches, tax filings show. 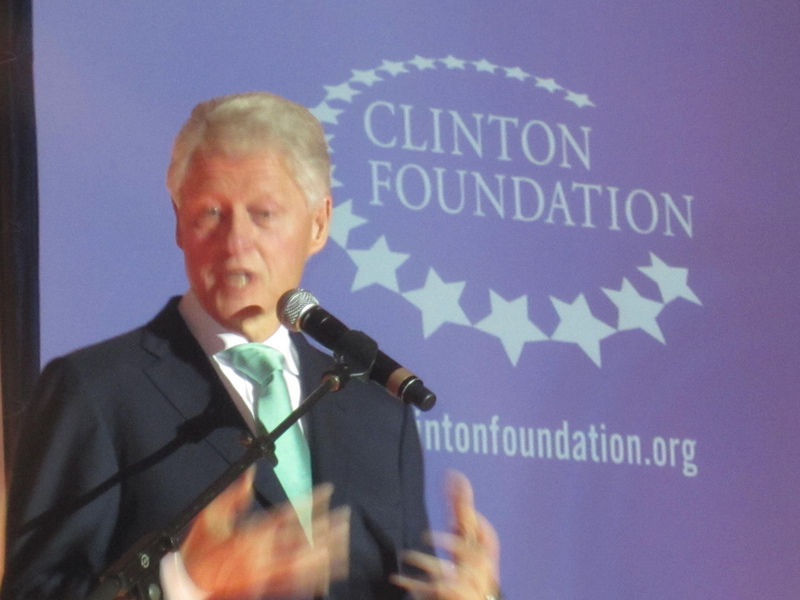 Executives at the non-profit said the drop in foundation revenue is due to restructuring, after the announcement in August 2016 that the Clinton Global Initiative, a foundation program that tackled some of the world’s most urgent social problems, such as health care and disaster preparedness, had shut down. Despite Clinton Foundation donations plummeting, Bill Clinton is raking in money from a thriller he wrote with mega-bestseller James Patterson. The book sold over 1.2 million copies and the television rights were already sold to Showtime for an amount that was not disclosed. A Clinton Foundation spokesman would not comment on whether or not the proceeds from book sales will be used to help the work with the non-profit organization.